Franci IGP Toscano Bio is 100% Italian Organic EVOO, from Frantoio Franci, Tuscany. 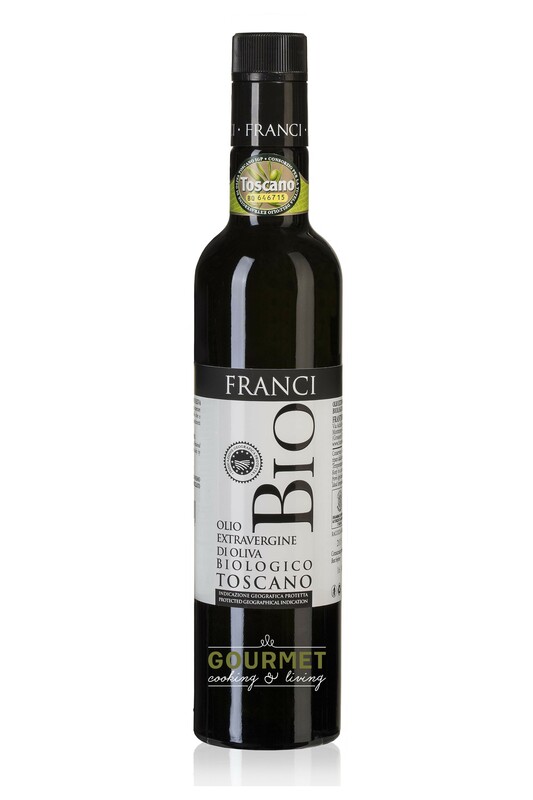 It has a medium fruity aroma with a clear scent of olives, notes of artichoke, ripe fruit and tomato, to a lesser degree. The taste is fresh and clean, initially with a slight sweetness, followed by a harmonious bitterness and spiciness. Rich persistence of vegetable with predominant hints of artichoke. Perfect used fresh on soups, legumes, vegetable, meat, fish and salads. Buy 2 for $29.90 each and save 10% . Buy 3 for $27.50 each and save 17% . Buy 6 for $25.90 each and save 22% .